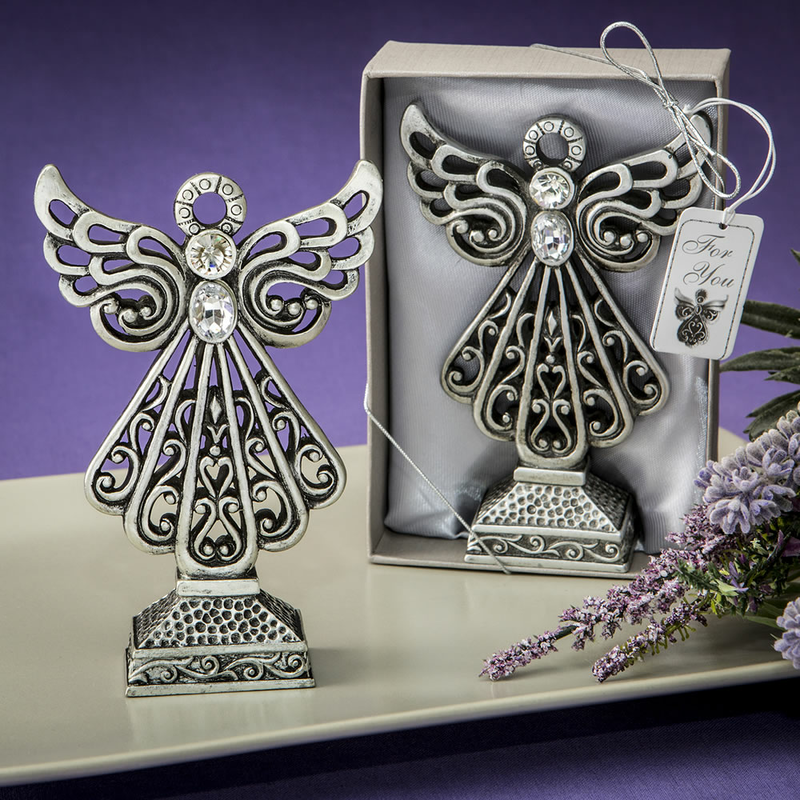 These lovely angel statues measure 5 1/8" x 2 1/8" are hand painted with a pewter finish with a cut-out filigree design. Made from poly resin, each statue is beautiful from the top to bottom. Features include: a clear round rhinestone on the face; an oval rhinestone adorns the chest; and a beautifully engraved halo above the head. Well presented, each angel is housed in a matte silver bottom box with a clear display top with a white satin bed for the Angel to rest on. Added is a silver metallic ribbon wrap and bow with a 'For You' tag attached.